It was my friend N's son's fifteenth birthday last week. She invited us over for a special punjabi meal at her place to celebrate his birthday. She is a great cook and made us a tasty feast of nans, veg pulao, chicken curry, aloo gobhi, paneer masala and mixed salad. 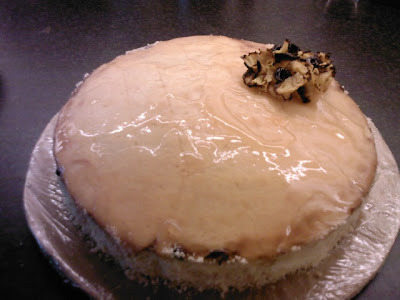 I took over a fresh pineapple gateau for dessert which turned out yummilicious. 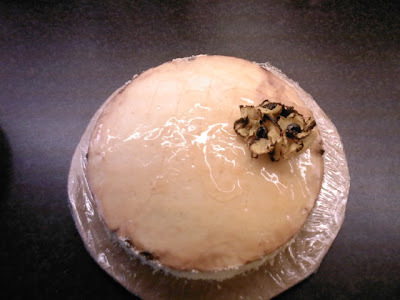 The recipe I followed was the same as for a fresh mango gateau except I substituted the pineapple for the mango. 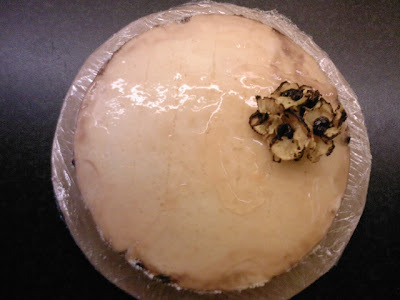 I decorated the cake with a thin pineapple mirror made of jelly on the top, and crushed almond powder on the sides of the cake. For finishing touches I added a few roasted pineapple flowers which was made by drying thin slices of fresh pineapple in the oven at 220C for an hour turning it every 20mins. In the last 20mins i rolled the dry pineapple slices into flowers and baked again.